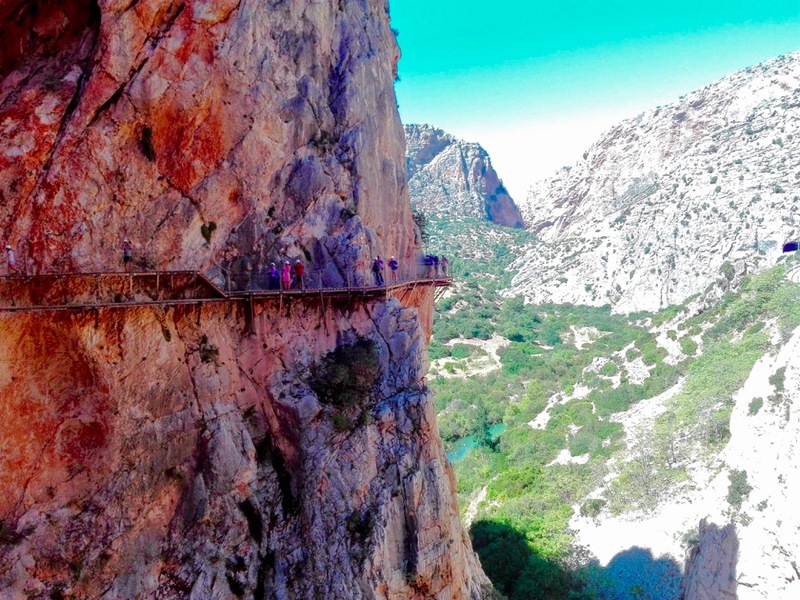 When in the south of Spain you should definitely treat yourself to a hike along El Caminito del Rey. 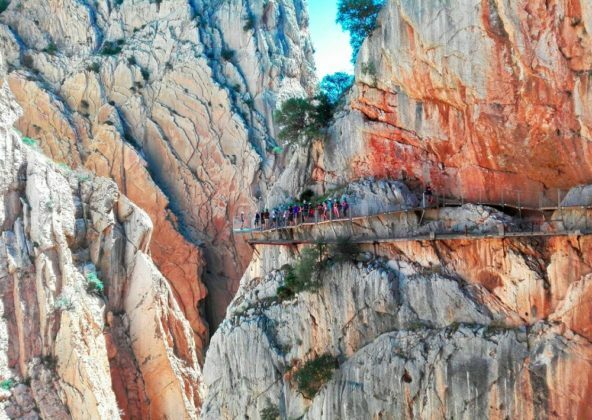 This incredibly beautiful hike is not for people who are afraid of heights but for everybody else there is a guarantee of a unique experience. 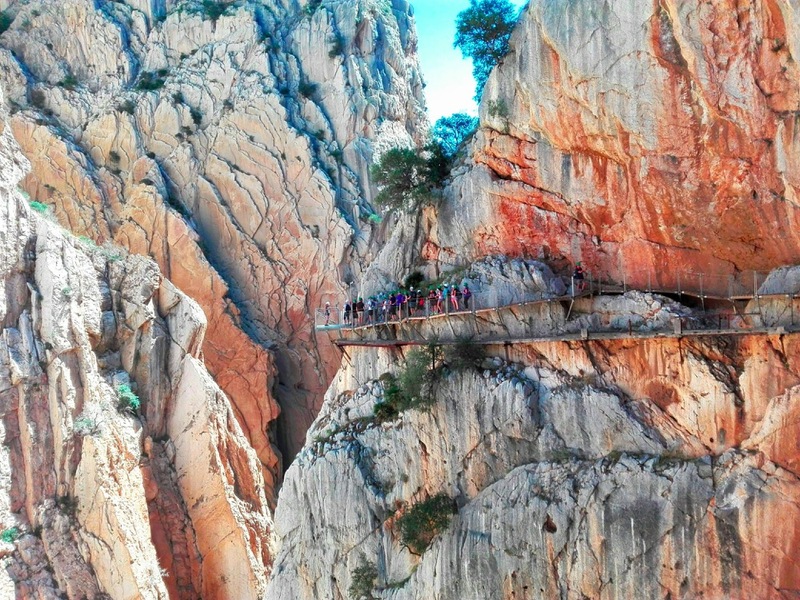 We think the easiest access to El Caminito del Rey is through Malaga. 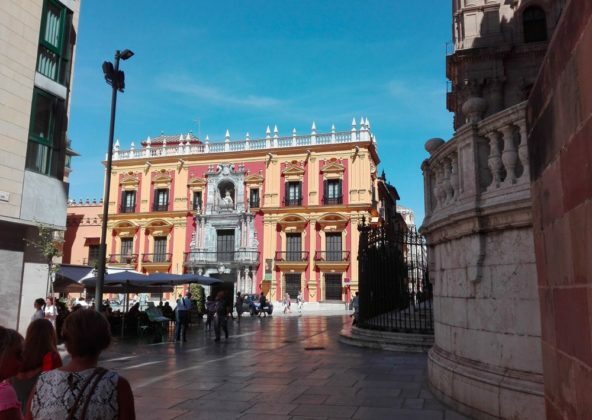 We visited the beautiful city of Malaga at the foot of the Andalucian mountains in early autumn and instantly fell in love with this magnificent town. In September you will still have long warm sunny days and pleasant evenings but the crowds of summer have gone. 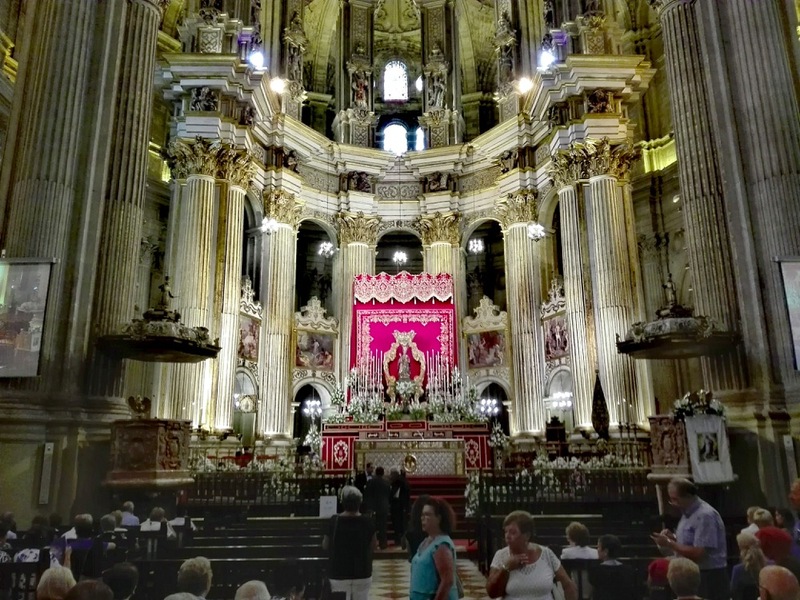 The Malaga Cathedral is said to be one of the most beautiful and impressive ones in southern Spain. We loved this amazing building with all its history. Do also visit the beautiful gardens surrounding the Cathedral. 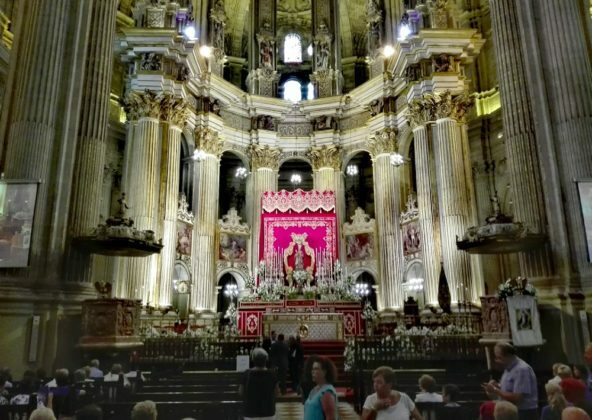 Malaga dates back to eight hundred years before Christ but nowadays it’s a big modern city with about half a million inhabitants. 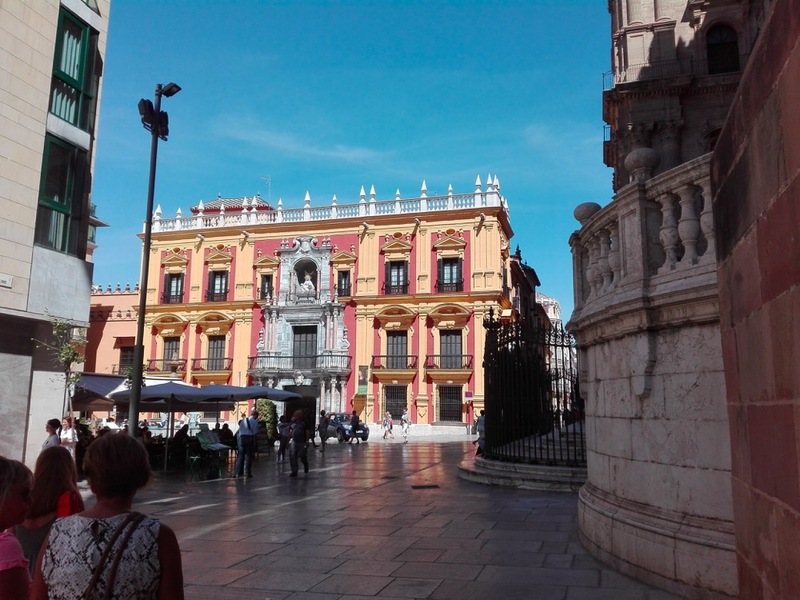 In fact, Malaga is Spains sixth largest city. 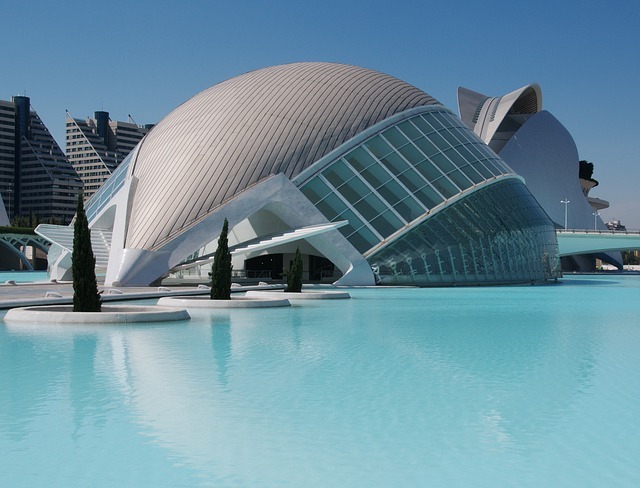 You can fly to Malaga International Airport from virtually all corners of The World. Nearly 70 different airlines operate 60 different countries. So there is no excuse for staying home. 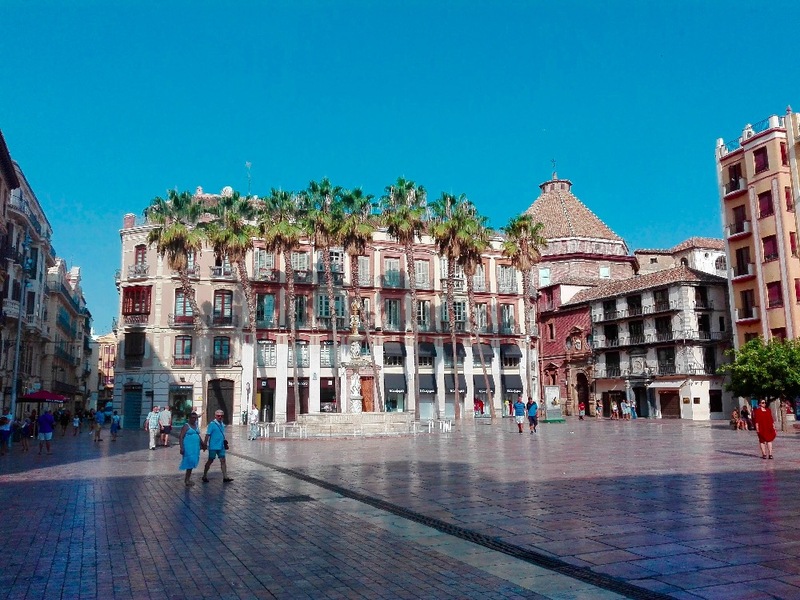 It’s Malaga’s old town that will fascinate and excite you and you can spend hours wandering along the wide pedestrian streets, exploring the cobbled alleys, enjoying the green parks of the city, strolling along the new waterfront, visit small cosy Tapas bars where you can treat yourself to incredibly delicious food and drink plenty of tasteful Spanish wine. But you will also find an ocean full of cultural offers. 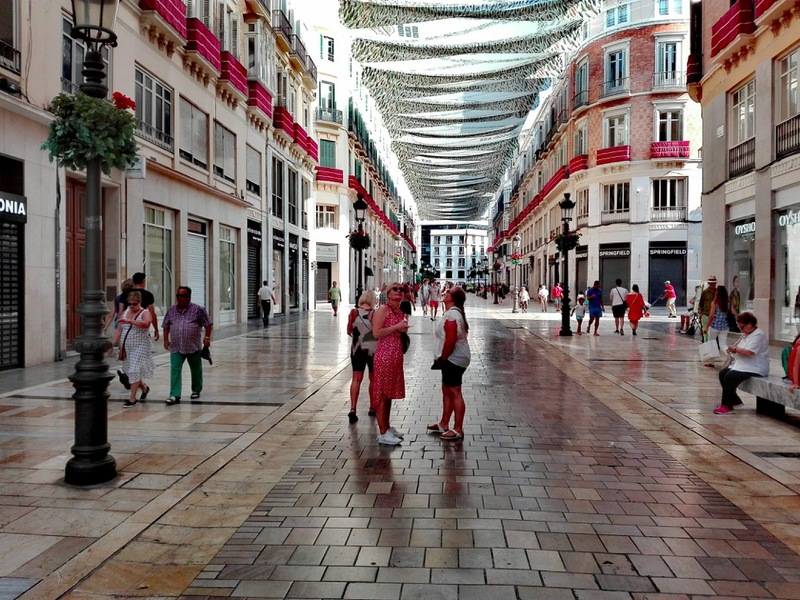 Calle Larios is the most important avenue in Malaga. 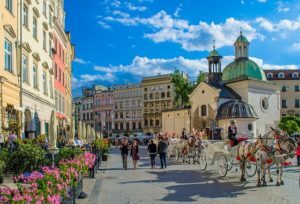 The beautiful pedestrian street is where you will find all the high-end shops and where you will be surprised by the amazing decoration which changes according to the season. 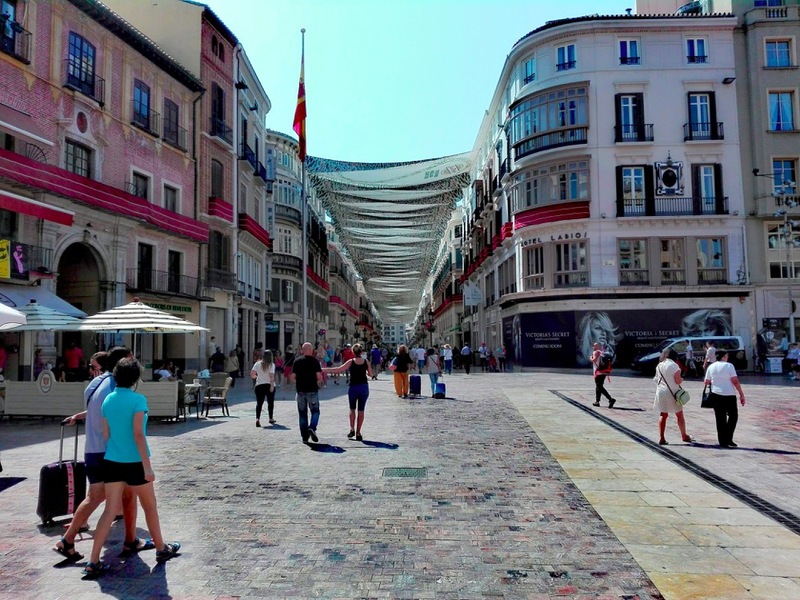 It´s a shoppers paradise and a great place for people watching while sipping a cold glass of Sangria or cooling down with ice cream. You will find lots of interesting art galleries and exciting museums. 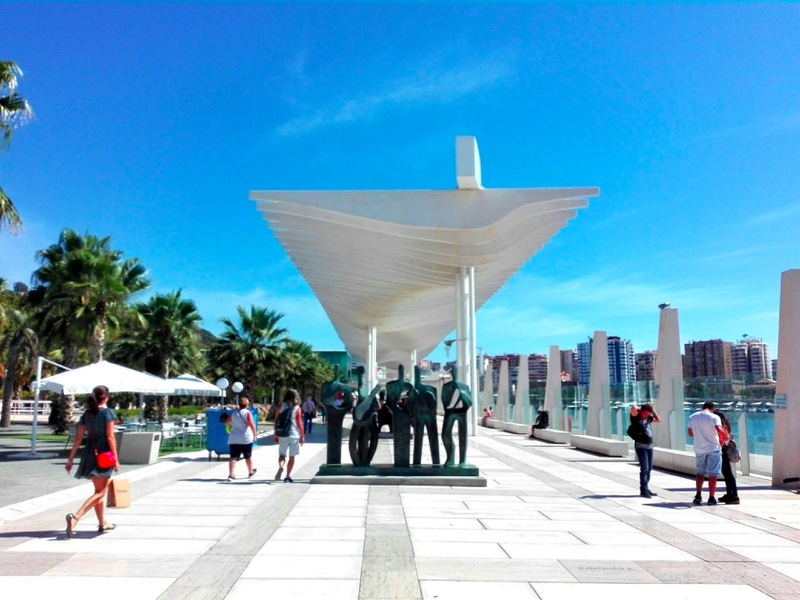 In fact, Pablo Picasso was born in Malaga and you have the opportunity to visit both his birthplace and the new big Picasso museum www.museopicassomalaga.org. 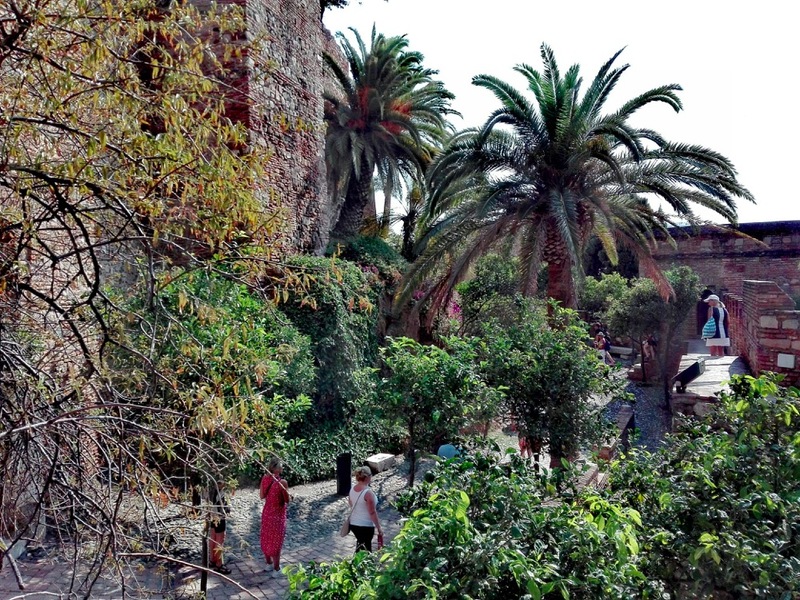 A must-see during a stay in Malaga is definitely La Alcazaba. The impressive Moorish fortress is almost visible from anywhere in the city. The city of Malaga has a long and sometimes rather violent history that tells about countless invasions and wars. 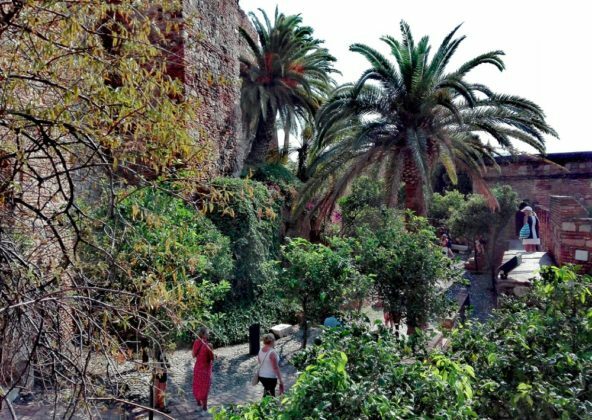 You should definitely find time to visit The Alcazaba, a beautifully restored fortress at the foot of the Gibralfaro hill. 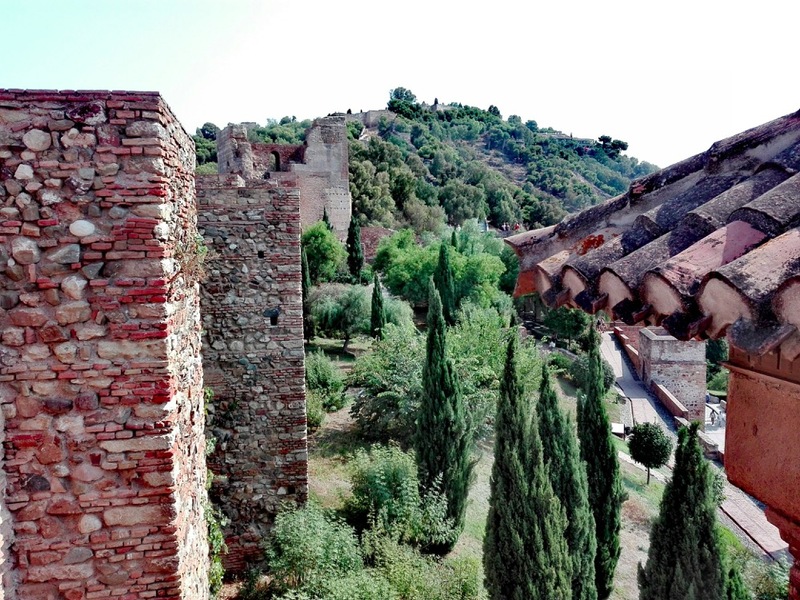 You will have amazing views of the city itself from the top of the thick walls. 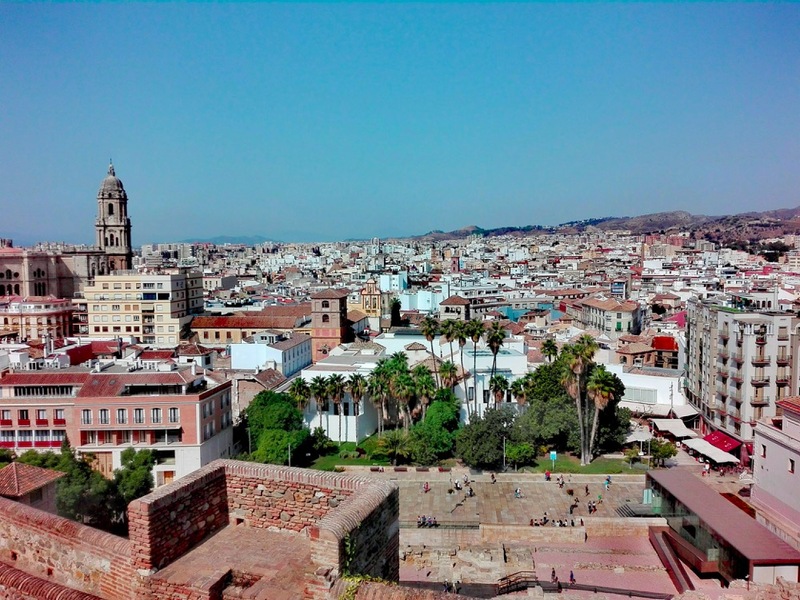 The magnificent view over Malaga from La Alcazaba. 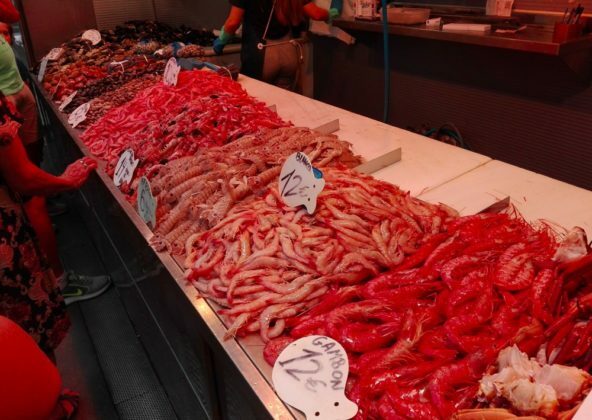 An important ingredient on a holiday to southern Spain is absolutely huge amounts of amazing Mediterranean food and in Malaga the selection is great. 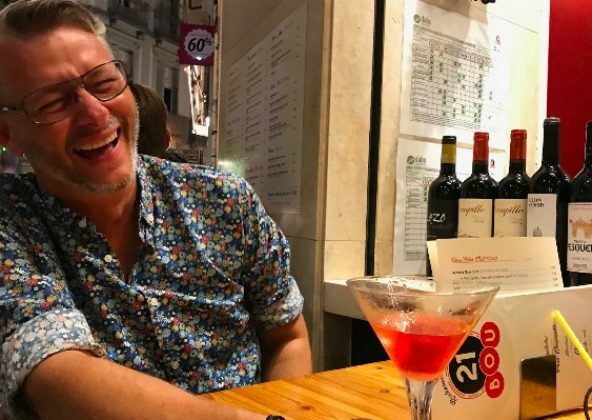 You can choose from anything between Michelin starred restaurants to small family-run Tapas bars. 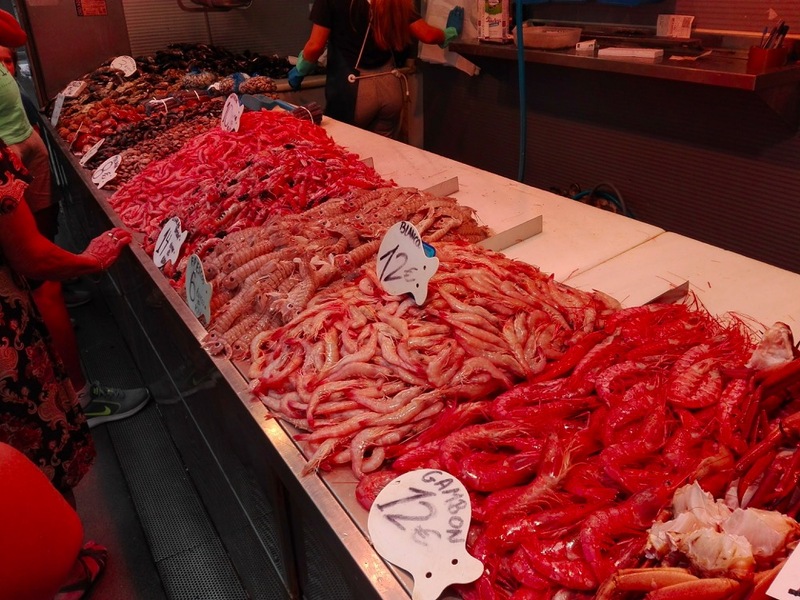 We think, that a gastronomic highlight during a trip to Malaga is a visit to one of the many many seafood restaurants located like pearls on a string along the beach promenade. 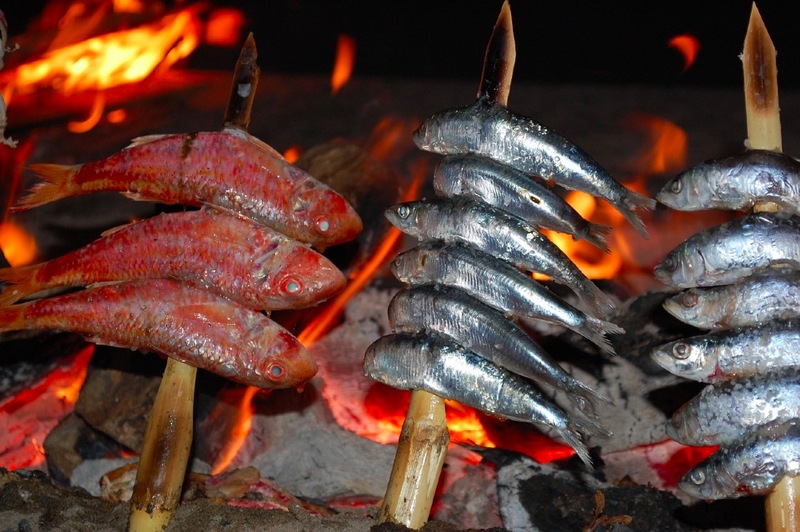 Delicious fresh fish from the Mediterranean sea, grilled over open fire directly on Malaga’s beach promenade. Here on the promenade, you will find numerous fish restaurants lying side by side like pearls on a string. The Chefs prepare seafood, as fresh as it gets, over open fire directly on the beach, while you are sipping a glass of ice cold white wine. One of our favourite beachside restaurants has to be El Cabra, www.restauranteelcabra.es From the restaurant’s terrace you have a splendid view of The Mediterranean Sea. 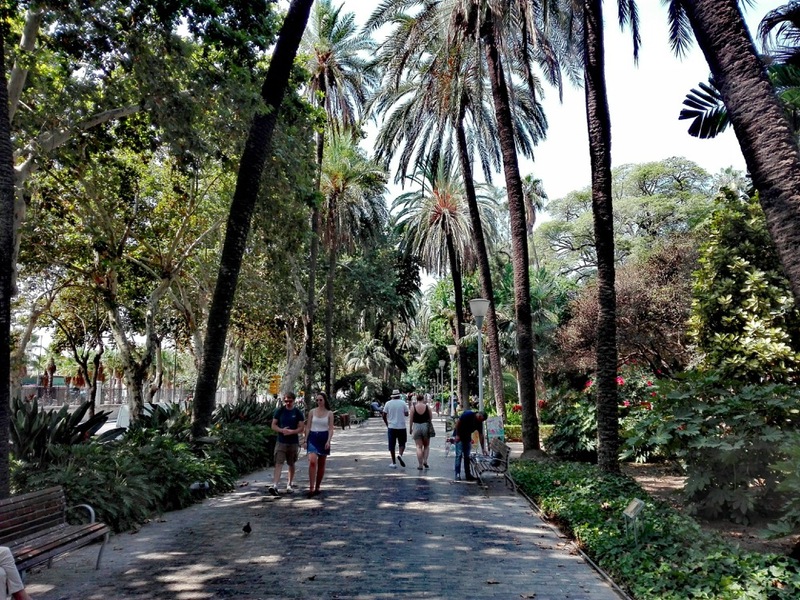 Stroll through the wonderful Alameda Parque. In here you will be able to find shade during the hot summer month. 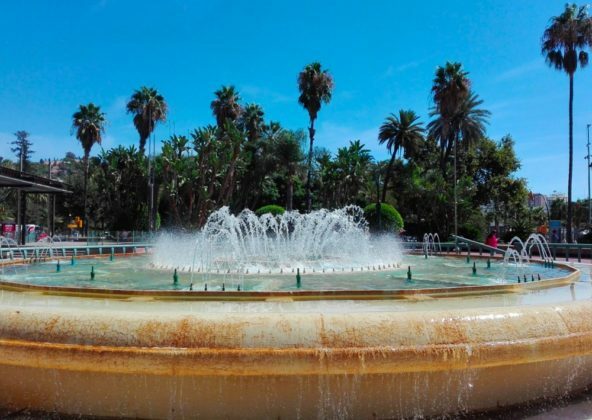 The park with its towering palm trees, sculptures, fountains and subtropical plants is a wonderful hideaway from the city’s hustle and bustle. Hundreds and hundreds of green parakeets live in the trees and are funny to observe. 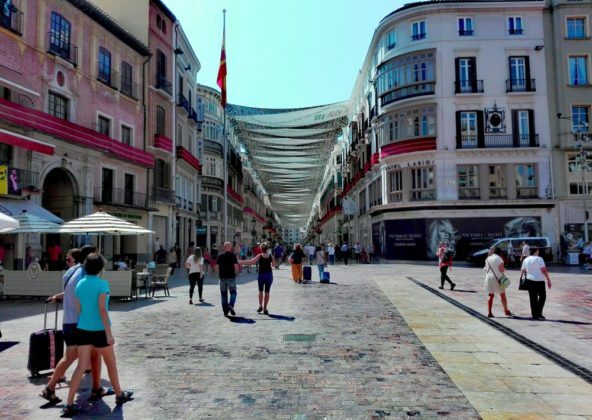 After a few days in Malaga with museum and gallery hopping, good food, wine and shopping, you may want to get out of town and get a little sweat on your forehead. 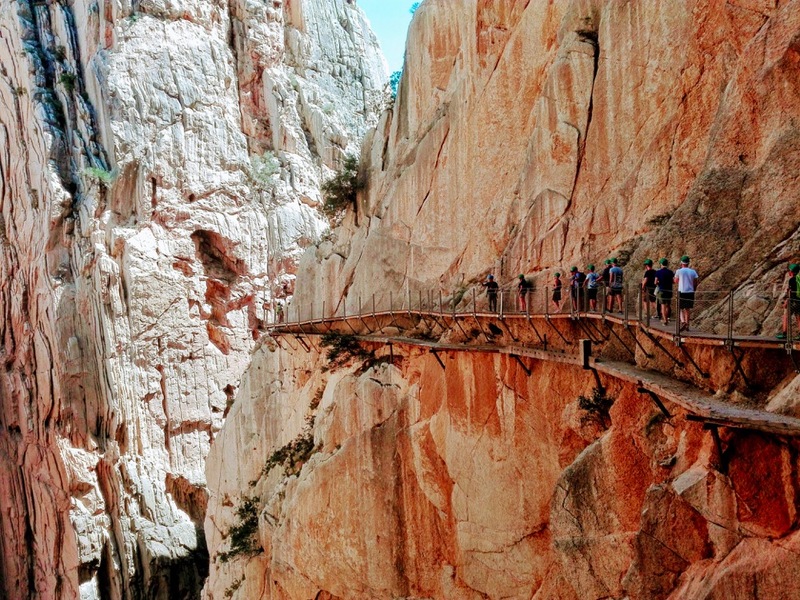 We recommend a hike along El Caminito del Rey. Here you will pass breathtakingly beautiful scenery and more than once your knees will shake with excitement. 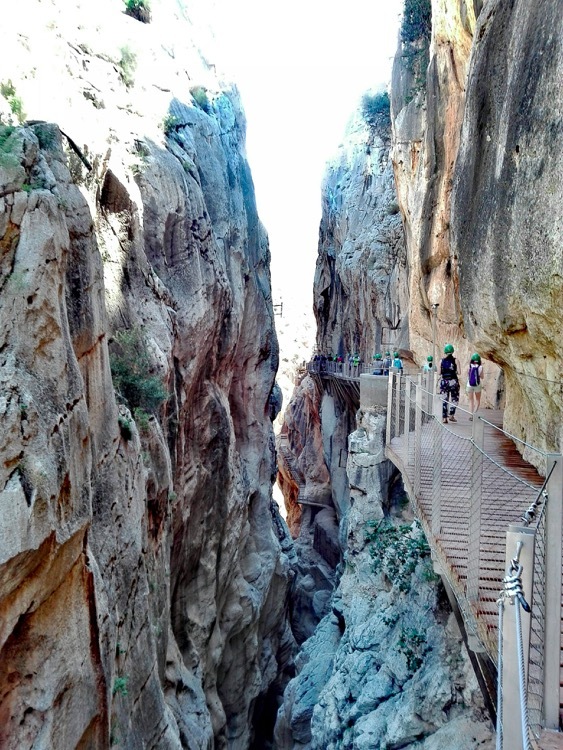 Caminito del Rey at its best. The tour is not for those who suffer from fear of hights. 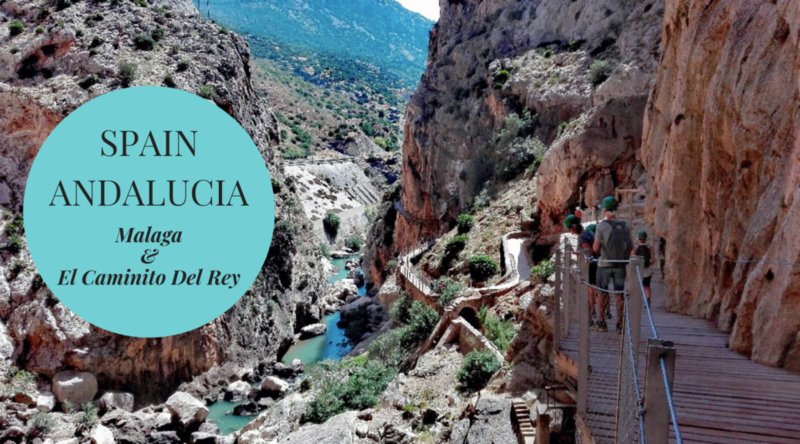 Pull on your hiking boots, tie the laces and prepare yourself for the highlight of your South Spanish vacation. 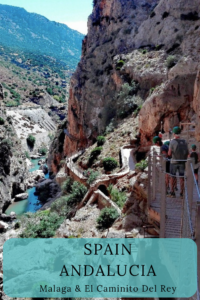 El Caminito del Rey was originally built as a walkway for workers who had to cross between Chorro Falls and Gaitanejo Falls as a part of their work at the hydroelectric power plants located here. The construction of the walkway was carried out between 1901-05. Beautiful scenery during the hike. The views will make your jaws drop more than once. 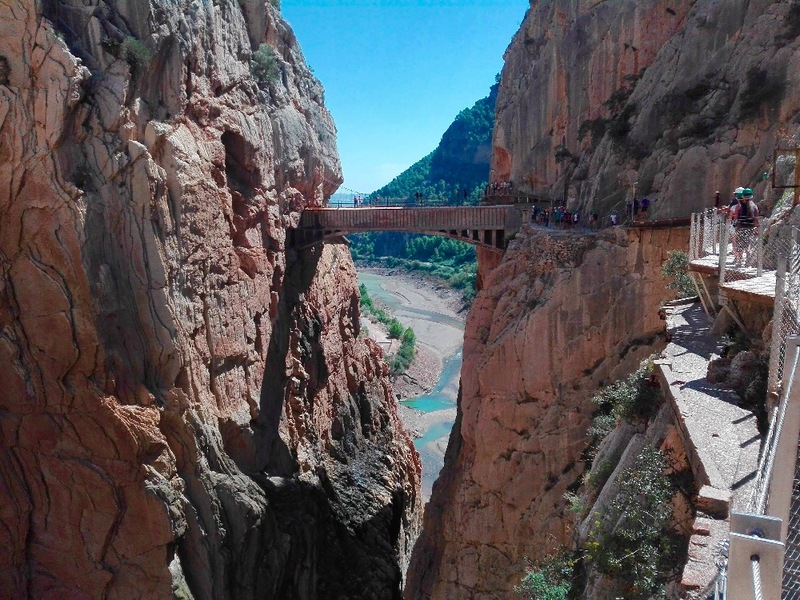 El Caminito del Rey got it’s present name in 1921 when King Alfonso Xlll crossed it for the inauguration of the Conde del Guadalhorce dam. For many years, the trail was not maintained and it eroded slowly and decayed. 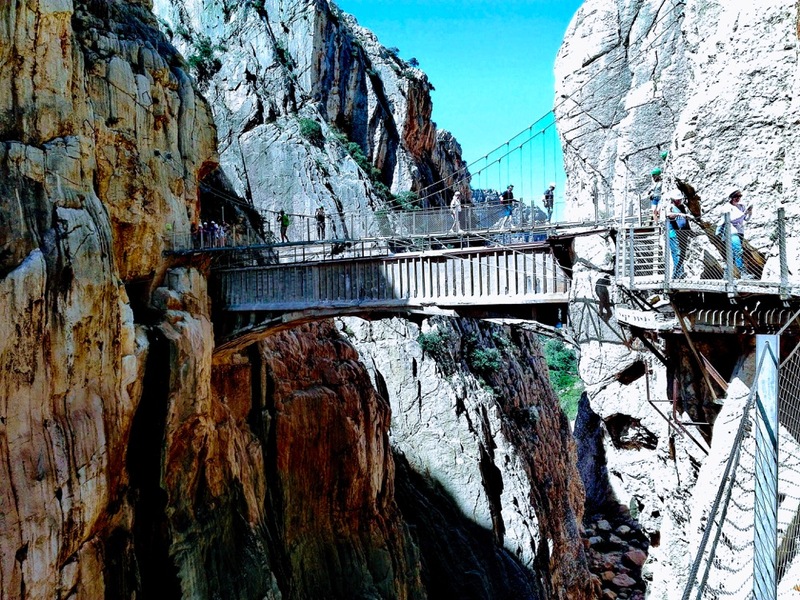 In the past, El Caminito del Rey was known as the most dangerous walkway in the world. Throughout the years, many climbers lost their lives in an attempt to climb the path. In 2011 it was decided to repair the walkway and after 4 years of extensive renovations it re-opened in 2015. 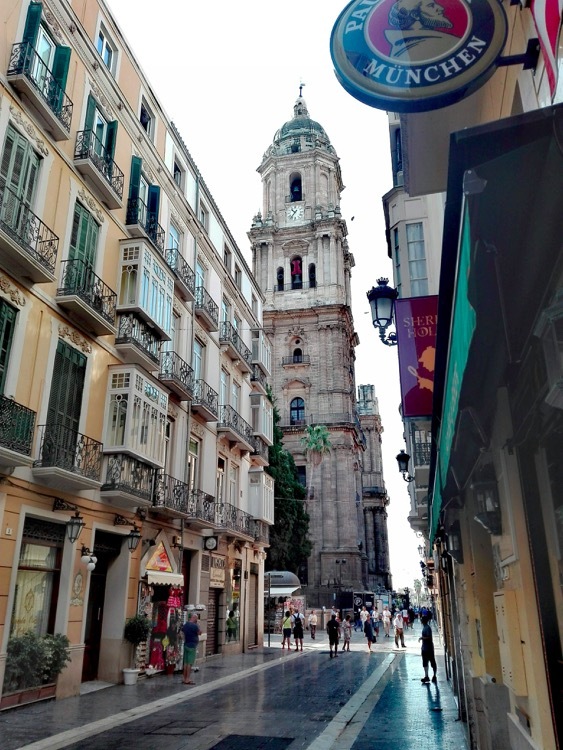 When based in Malaga the easiest way to get to El Caminito is by train from the central railway station. 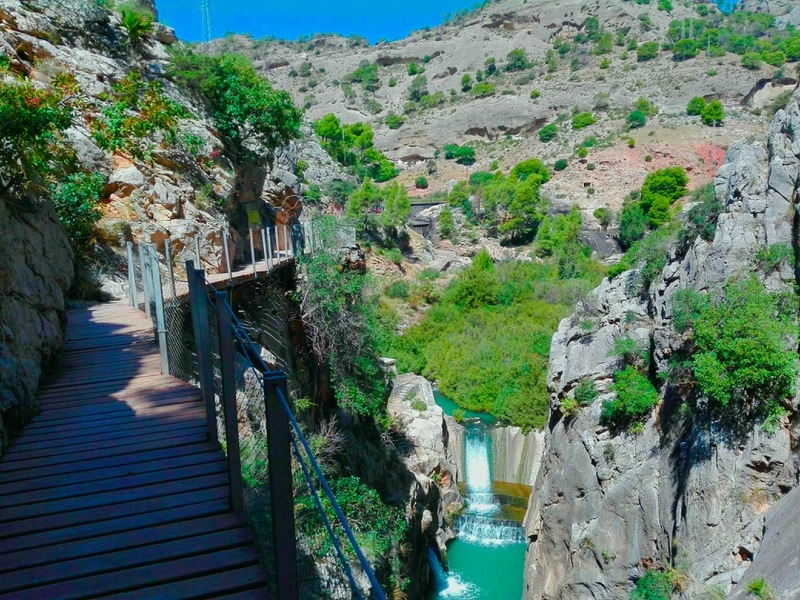 Take the train for El Chorro, the ride takes about an hour. Check the timetable at www.renfe.com. Train fares are very reasonable. 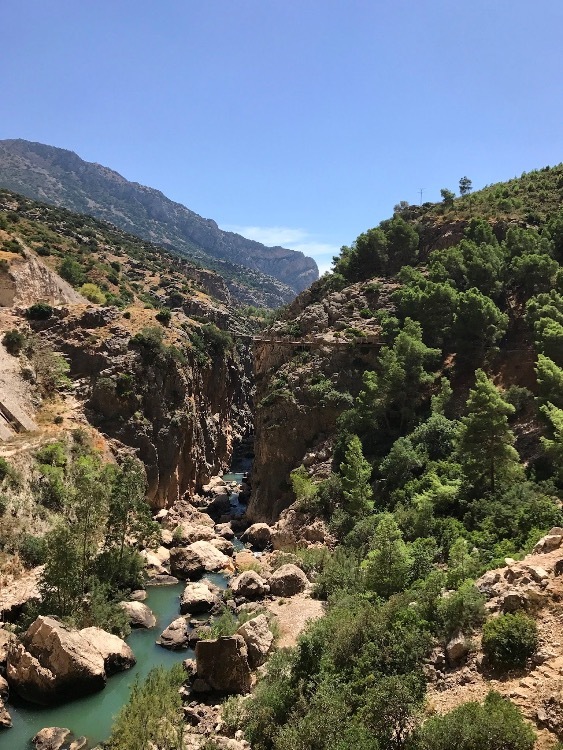 When you get off in El Chorro, turn left and you will shortly get to the shuttle bus stop for Ardales. The ride takes about 20 minutes. In Ardales you will get off at the restaurant El Kiosko. From the restaurant, there are signposts towards the checkpoint. It’s here you show your preprinted tickets, meet your guide if you have arranged for one and get your mandatory safety helmet. There is no need for a tour guide. This will only be necessary if you want more elaborate information regarding the region and the history of the walkway itself. Now it’s finally time to start the hike. 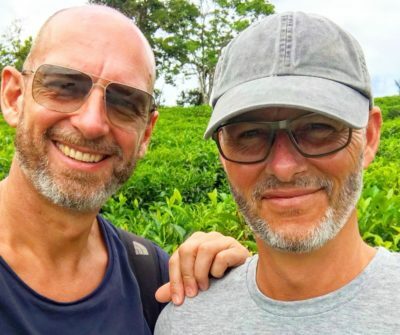 The entire route is 7.7 km long and takes about 2.5 hours. 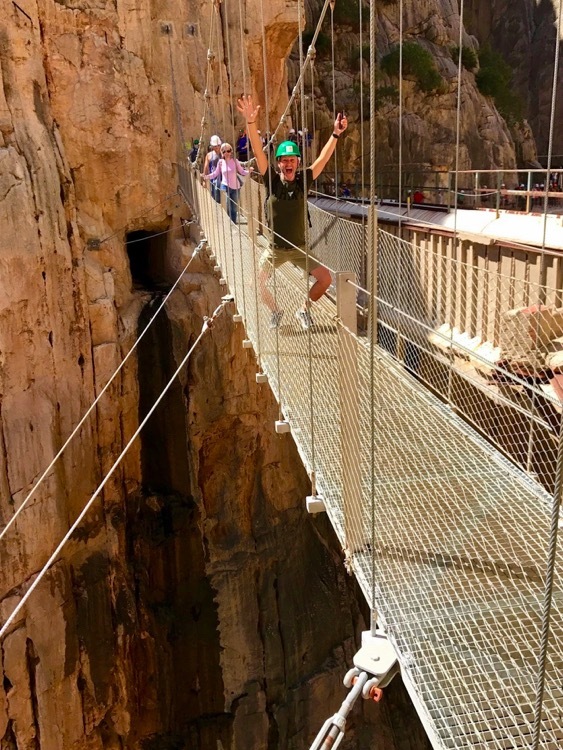 Approximately 5 kilometres of the route is on walkways that have been cut into the vertical rock wall … This is where the real thrill starts. On route, you will pass some amazing scenery. 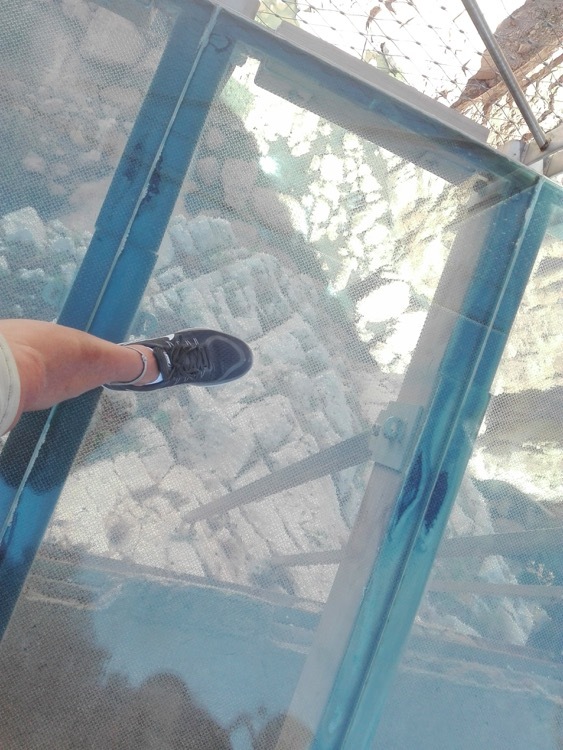 In some places the gap is only 10 meters wide elsewhere, the walkway floats 100 meters above the river bed. If you are lucky you can see mountain goats on the cliff shelves and over your head, you can see flocks of Egyptian vultures floating on the thermal winds rising from the gorge. El Caminito del Ray is really worth your while. We loved every minute of it and would go back anytime. El Caminito is a linear tour, only one direction. 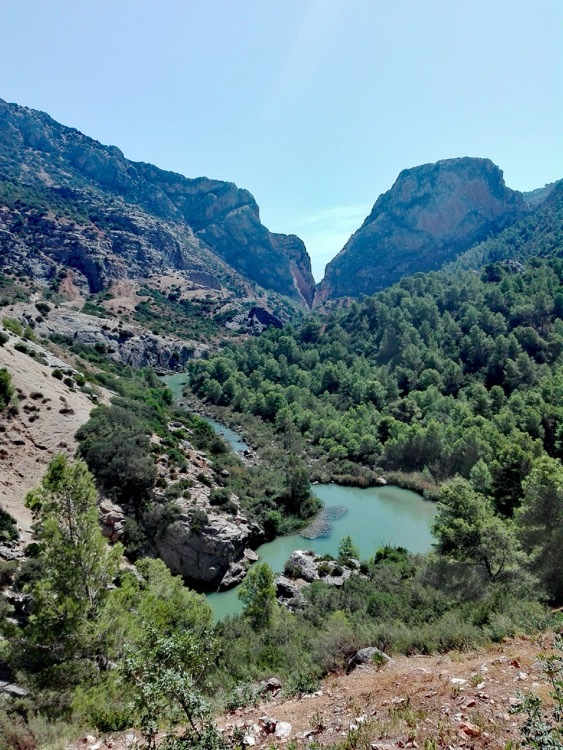 From the north in Ardales to the south in El Chorro. Therefore the tour ends where you got off the train. 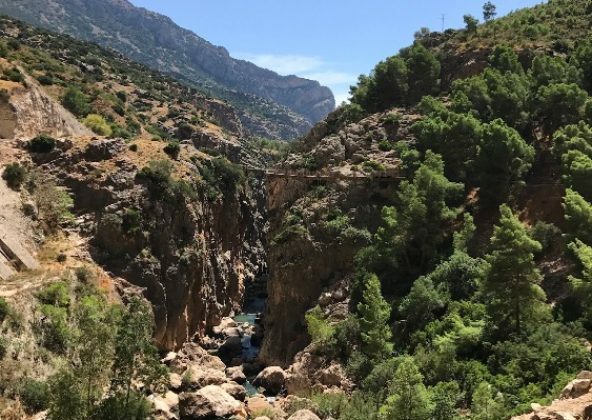 When back in El Chorro you might have a couple of hours to spend and in need of a hearty lunch. Why not spend them at the terrace restaurant of the small boutique hotel, Complejo Turistico Rual La Garganta, www.lagarganta.com. From the terrace, you have the most beautiful views over the mountains and the valley below. 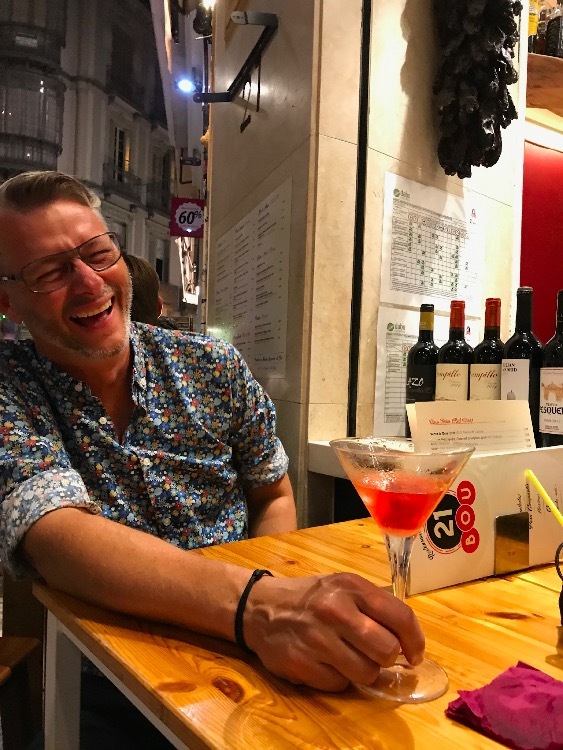 While sipping a glass of ice cold Verdejo the next hard choice would be what to choose from the restaurant’s really delicious menu. Some of the best food we had throughout our trip to southern Spain, we had here. Our top choice has to be the stuffed avocado with mango and fresh soft cheese accompanied by a homemade jam of peppers. 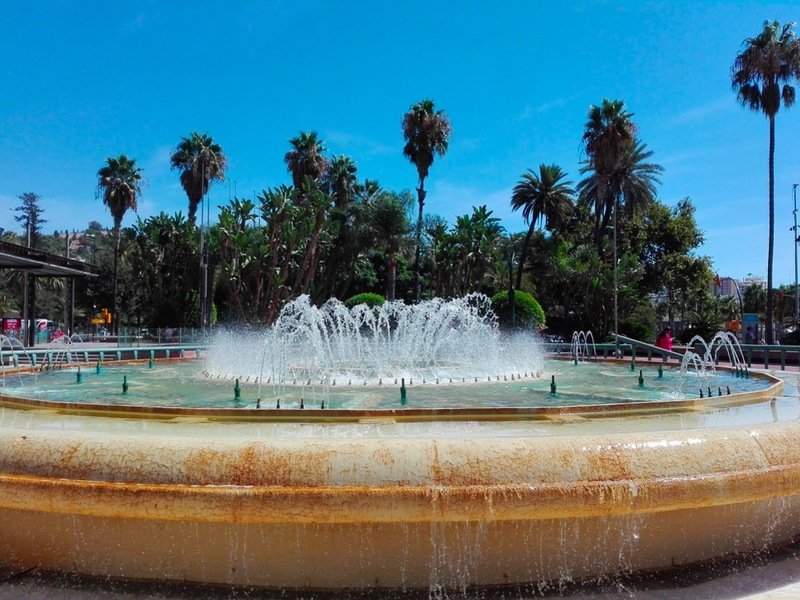 Hotel Venecia is a small very well located hotel only a short stroll from the famous Calle Larios, the amazingly green city park with trees and palms from all over the world and where literally hundreds of green parrots fly over your heads and from the beautiful waterfront. The Venecia has rooms of very varied size and quality. Try to get a room with one of the small balconies. The hotel serves a very basic breakfast, buffet style. The staff is helpful and attentive. Compared to quality the hotel is a bit overpriced. I always wanted to do this hike! 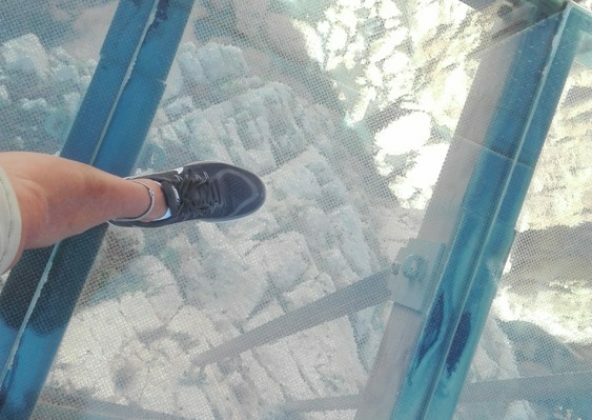 This one and the really scary one in China, Mt Huashan. Still hoping to go one day!